Need more Thundermans in your life? If you are anything like us, you can’t get enough of the superhero Nickelodeon family – and luckily, we’re all in for a tweet. Actors Jack Griffo and Kira Kosarin revealed on their social media accounts that the cast of the show is currently working on their very own movie special. Though it originally looked like the cast’s special project might be a two-part event or special hour-long episode, it is now looking like this will be a full movie. Fans are already speculating that it will air this summer, or after the remainder of Season 4 finishes – which, although unconfirmed by Nickelodeon so far, really makes sense. The first photos the cast has been sharing from behind-the-scenes of filming reveal that the set is just incredible – and has us brainstorming all kind of potential plot possibilities. Like, what could be going on here? We really need to know! One of the coolest costume moments we have noticed about the movie’s production so far is that Kira’s character Phoebe is rocking some incredible red-streaked hair for the film! Is this look style goals, or what? We can’t wait for the cast to share more updates from filming! Actor Diego Velazquez recently posted a message on his Instagram Story that The Thundermans will be returning for a Season 5 – but that post turned out to be an April Fool’s message. While we hope it turns out to be the case, we’ll take this movie special as the next best announcement! Are you excited about the upcoming Thundermans movie? 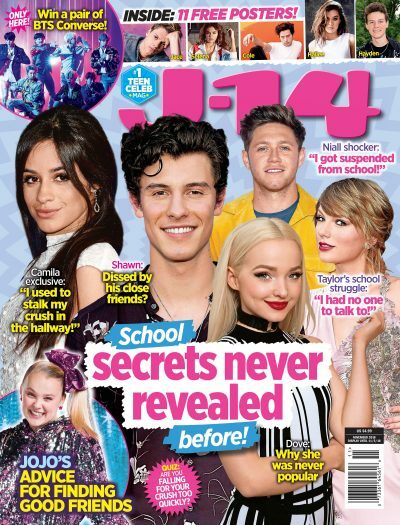 Let’s discuss over on Twitter @twistmag. Are Kira Kosarin & Riele Downs Switching Places on TV?